By Ooi Kee Beng, in the column, “Picking on the Past”, first printed in The Edge Malaysia, 27 May – 2 June, 2018. One can easily see how southern Southeast Asia, being largely maritime, ethnically very diverse and historically and geo-economically a collection of trade routes, in dividing itself into zealous and jealous nation states over the last century, would as a region see prescribe racial and religious sentiments in the creating of stable national ethnic majorities. 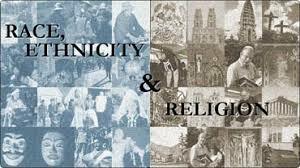 To be sure, the creation of a politically relevant sense of ethnic commonality has almost always depended on a synchronized proselytization of a common religion. Thus, communal sentiments have more often than not been constructed by means of an emotive complex of religious control and race construction. This begs the question, how then is peaceful multicultural life even possible? And relatedly, why would a project of ethnic identity even allow itself to be open-ended and contaminated? Let me in a hasty fashion list some points that I think can help the discussion along. To start with, ethnicities are not as stable units of identity and community as one might think. Indeed, the project of ethnicity creation is in itself a deceptive undertaking. I would claim it to be a political game played in the interest of a select group more than it is a description of unchanging reality. In Karl Marx’s exaggeration, it is necessarily a false identity. But what comes first? The need to survive or the need to identify? Now, I can agree that since a group is stronger than an individual, group identification immediately increases the chances of survival enormously. Beyond a certain level though, the economic gains to be had from inter-ethnic collaboration becomes obvious. Close societies seem therefore to be rather unstable. One of the greatest political paradoxes in human history is that empires tends necessarily towards multiculturalism while nation states move in the opposite direction and exert petty control over the expressions of identity of its citizens. What humanity has learned more clearly than ever now is that economic interaction between nations and polities is done because it is mutually beneficial. In fact, the post-World War II, post-colonial, post-Cold War era is a period where economic interaction and the conditions needed to sustain and develop international trade are recognized and pursued as the remedy for international war. The lessons learned from the wars of the last century then, is that economic mutualism is the best means for tempering the ethnocentric tendencies of nations. With economic mutualism amongst nations and the social constructs that grow out of it, ethnic identities become fluid and less emotive. This seems a safe and sound solution, except for one simple dynamic— the tendency for economic gaps, be these income-based, educational, developmental, digital, etc., to grow exponentially. Also, at a certain stage, the threat to emotive identity, often coupled with one or another of these gaps, initiates a backlash and an understandable burst of defensive nationalism. To an extent, that was what happened in 2016 with the election of the Donald Trump presidency and the Brexit vote in the United Kingdom. Significantly, the margins of victory were small in both cases, and one should not exaggerated the intensity of the nationalist pathos involved in the backlash. No doubt, local values and conditions are challenged or destroyed by free trade, but much of the anger is probably due to the growing income and developmental gap between regions in the same nation state, and the lack of positive government measures to offset the long-term detrimental effects of free trade. Finally, let me comment within this context on the silent revolution that the result of the recent Malaysian general elections amounts to. Hardly anywhere else in the world had arguments in a democracy been so openly and unabashedly based on (religion-defined) as in Malaysia. And when the political parties that had been ruling the country for over 60 years finally fell on May 9, the heavy task placed on the new government is that of stopping a return to politicking based on race and religion. To apply the three points made earlier, one can say that the race categories in Malaysia are hugely exaggerated, unscientific, and piggybacked on the exigencies of the colonial masters and the Japanese invaders. Also, since Day One, Malaysia’s economic structure has been an international one. Securing a place within the regime of international free trade, even if limited at times for various reasons, has therefore always been the raison d’etre for its foreign policies. As the various gaps that have been mentioned grew, the old Malaysian government had failed to close them with proper sustainable policies of the social democratic kind to provide for the future and to develop the potential of young Malaysians. Instead, money politics became the order of the day. Stop-gap methods failed to be replaced by serious gap-closing measures. Beyond these three points are three others that have especial significance for Malaysia’s ambition to rise beyond identity politics, and which should be mentioned here. First, grey areas in ethnic identity and cultural expressions need to be accepted as par for the course. If ethnic groups are hindered from broad interaction and from inter-marriage, then one cannot expect them to show encouraging signs of assimilation, even in the long run. Nation building under such circumstances can only succeed to a limited extent. Natural cultural assimilation needs to be allowed, which also means that clear definitions of race and religion have to fade away. Secondly, the best mindset change that I can imagine to be possible for Malaysia to move away from its fixation with race and religion is for its citizens to become sociologically conscious. Realising how sociological perspectives enhance empathy in society, deconstruct collective identities and dismantle ethnic prejudices will diminish the relevance and validity of race-based arguments. More clearly, class arguments can replace identity politics. The third has to do with Malaysia’s place in the region and the world. More focus on international affairs in the country’s public discourses will help limit the fixation with its parochialism.